The presence of allegedly obvious manipulations in a 2017 chemistry paper has prompted a reader outcry. 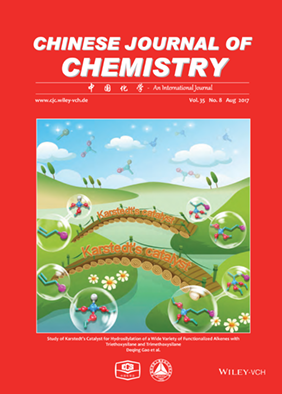 The 2010 paper, which explored how various iron-based molecules interact with water and ethanol, was withdrawn after the authors uncovered possible duplication in two images. Researchers at a prominent Japanese university have retracted a 2016 paper in a chemistry journal after the first author admitted to scientific misconduct. According to the notice, Kyushu University investigated and verified that the first author had committed scientific misconduct. We requested a copy of the misconduct report, which revealed that the researcher, Prasenjit Mahato, a postdoctoral fellow at Kyushu University who is no longer affiliated with the university, “admitted to falsifying research” in two papers on which he was first author: a highly cited 2015 paper in Nature Materials, which was retracted in 2016, as well as the 2016 paper in Journal of the American Chemical Society (JACS), retracted earlier this month. The university investigated and confirmed misconduct in both papers. A neurochemistry journal has retracted a paper from a group in China over a duplicated image. The first author of a 2013 chemistry paper is objecting to his co-authors’ decision to retract the paper, which contains duplicated figures. We recently encountered a similar scenario with papers by first author Khalid Mahmood. 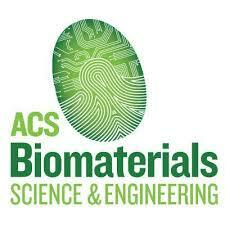 In late 2015, Mahmood lost three papers in the journal ACS Applied Materials & Interfaces over duplicated images. One of the notices also indicated that the figures had “been published elsewhere and identified with different samples” — the same language used in the notice of the most recent retraction, in Journal of Materials Chemistry C.
Mahmood performed the work on the papers at Korea Advanced Institute of Science and Technology (KAIST), along with his two co-authors, Seung Bin Park and Hyung Jin Sung (also co-authors on two of the retracted papers in ACS Applied Materials & Interfaces). A scientist has won an injunction against the University of Texas at Austin, which was deciding whether or not to revoke her PhD. We’ve been covering the case of Suvi Orr, a chemist now based at Pfizer who earned a PhD in 2008, for a few years. During that time, UT has tried to revoke her degree twice, after the paper that made up part of her dissertation was retracted in 2012 — for allegedly containing falsified data, according to the school. The university revoked her degree in 2014, then reinstated it after she sued. Last year, the school tried to revoke it again, prompting Orr to sue for a second time — and ask for more than $95,000 in legal fees and expenses. 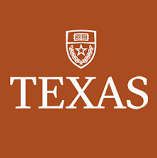 In a decision released April 20, a Texas Court of Appeals has upheld Orr’s request for an injunction against UT, preventing it from deciding whether to revoke her degree. Specifically, Orr asked that UT not be allowed to make a decision until the court has weighed in on a separate appeal, in which Orr argues the university doesn’t have the right to revoke her degree. Despite a university’s attempts to avoid discussing a misconduct investigation involving one of its former (and prominent) researchers, we keep reading more about it. In the third retraction this year for physicist Dmitri Lapotko, the journal mentions a misconduct investigation at Rice University, which concluded the data had been falsified. Trouble is, whenever we’ve tried to talk to Rice about that investigation, they won’t even confirm it took place.